EXO-CBX have released the tracklist for their comeback! The unit's 2nd mini-album titled 'Blooming Day' will include a total of 7 tracks -"Monday Blues", "Blooming Day", "Sweet Dreams", "Thursday", "Vroom Vroom", "Playdate", and "Lazy". 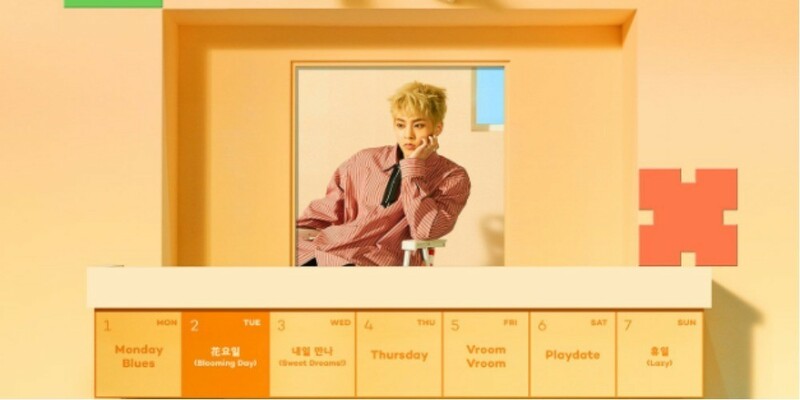 Fitting with the calendar concept, each song is matched with a day of the week. 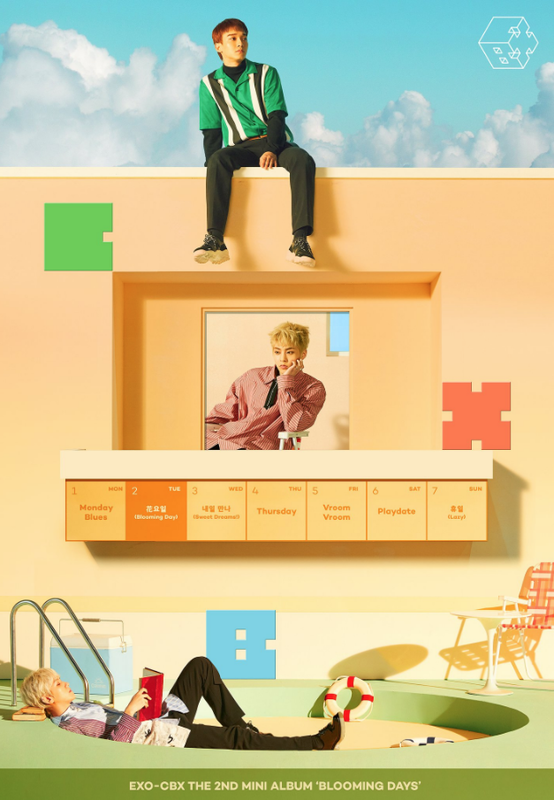 Check out the tracklist yourself below and stay tuned for EXO-CBX's return!